New Vine Wine Tours – The premier Long Island Wine Tour Company. We also provide different long island wine tour packages for the ultimate North Fork Wine Tour experience. Are you looking for a Long Island Wine Tour Company? Wine tours can be exciting and exhilarating. These are nothing but a wonderful way of meandering through the country side and stop at the favorite wineries, exploring new ones, relishing local delicacies and making some new friends on the way. To enjoy all this, there is only one condition and that is selection of best tour company. 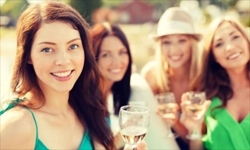 New Vine Wine tours is a Long Island Wine Tour Company that you can trust without any doubt. 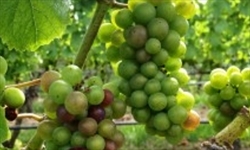 It offers the best North Fork Wine and Long Island tours with utmost commitment and dedication. The company offers custom tours, comprehensive wine tours and deluxe transport service all the way through North Fork Long Island and beyond at an affordable price. Discover the North Fork and Hamptons distilleries, wineries and breweries in grand style with a wide-ranging service tour by New Vine Tours. New Vine Tours is a family owned and locally managed business. The place boasts of sandy and rock-strewn beaches, fresh sea-food, indigenous farms and obviously wineries. New Vine is a Long Island Wine Tour Company whose service was initiated with the objective to share all these beauties with the world. Therefore, the tours and services are reflective of local perspective. Since the owners themselves are locals, they introduce you to all their friends who provide a meticulous and authentic insight at the brewing process from beginning to an end. No need to mention the added advantage ofsampling all the beers and wines. 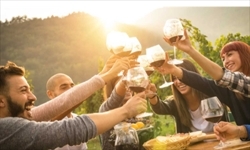 Whether you want to test your wine knowledge or just want to enjoy some countryside with a group of friends and learn about the wine process, New Vine Tours is a Long Island Wine Tour Company that caters to all your preferences. The greatest advantage of booking with New Vine Tours is that you are the boss of your trip. From more than 30 wineries, distilleries and breweries, you can pick and choose the ones you want to visit. Reservations will be made by New Vine Wine Tours on your behalf. You can also opt for additional features such as tasting, boxed lunch and gourmet cheese platter. Alternately, you can select from specially designed packages as per your liking and budget. These include an “All Inclusive Package” that offers; luxury vehicle, visit to three wineries, 3-5 sampling at every winery, gourmet boxed lunch, bottled water and elective gourmet cheese platter. The other package is “Wine and Dine” that includes, visit to two wineries pre-decided by New Vine Tours, 3-5 tastings at both wineries, bottled water, early three course meal dinner and complimentary bottle of champagne. The good thing is that some great deals and discounts are always available. 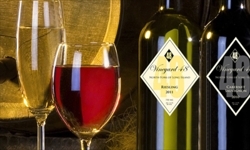 Special occasion are a specialty of New Vine Wine, the premier Long Island Wine Tour Company. Whatever the occasion is, you can trust New Vine Tours to make these occasions memorable for you. Recently, it has added North Fork Luxury Transporters service for all your requirements. It has added a huge variety of various modernvehicles in its fleet. With all these features and services you will never regret your decision of booking with the best Long Island Wine Tour Company, New Vine Wine. Your trip will end with some fond memories to cherish for all your lifetime. © New Vine Wine Tours. Long Island Wine Tour Company, All Rights Reserved.